New domain controller is not appearing in list when running the agent install wizard. No new domain controllers were found. New domain controller is not appearing in list when running the agent install wizard. No new domain controllers were found for this domain. 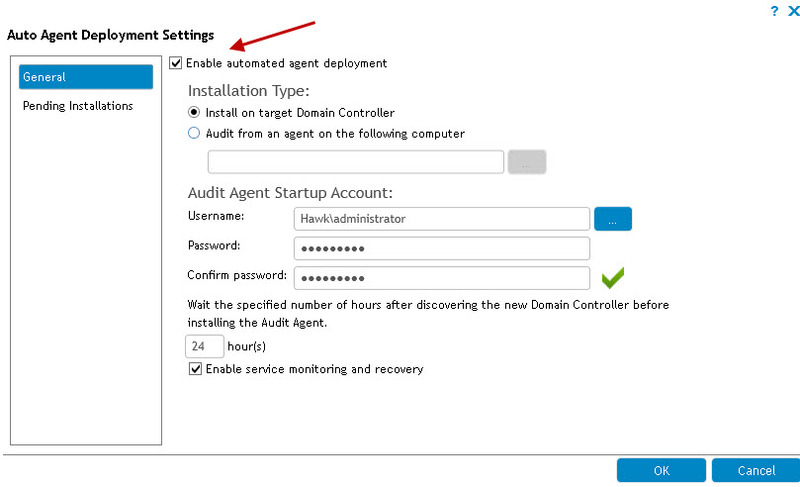 Within the Active Administrator Console, select Auditing & Alerting | Agents. Select the Auto Deployment option on the top right side of the screen. Verify if the Auto Agent Deployment is enabled.